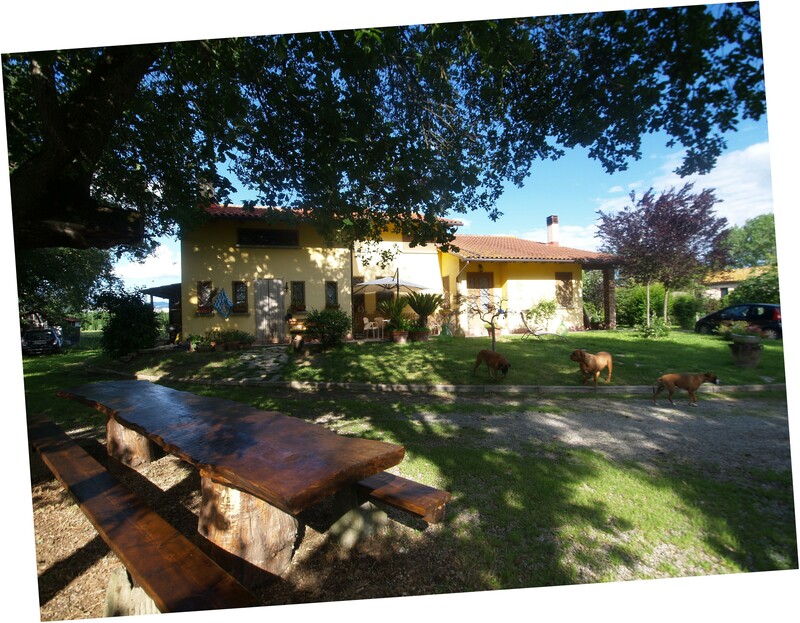 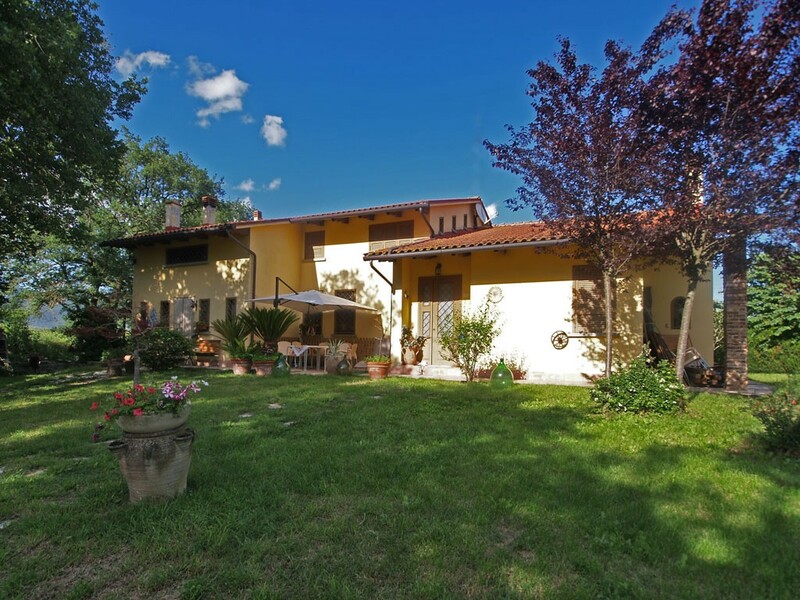 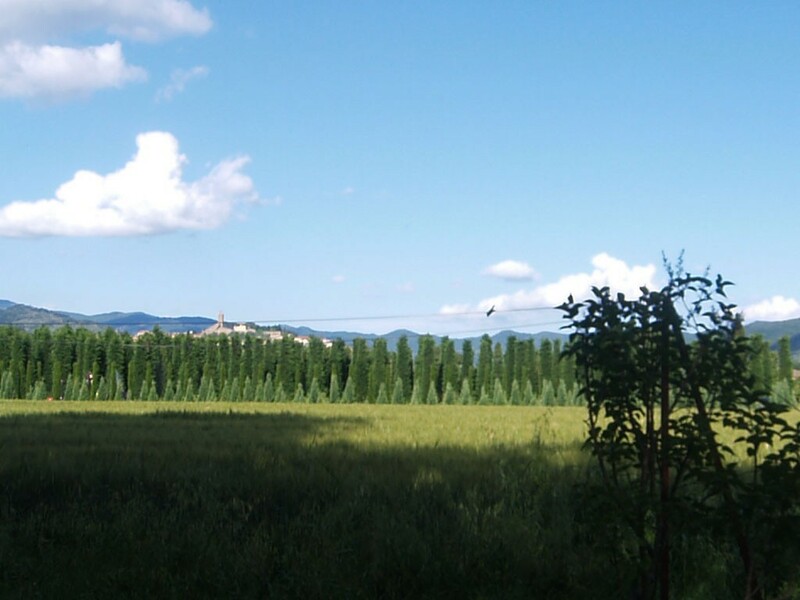 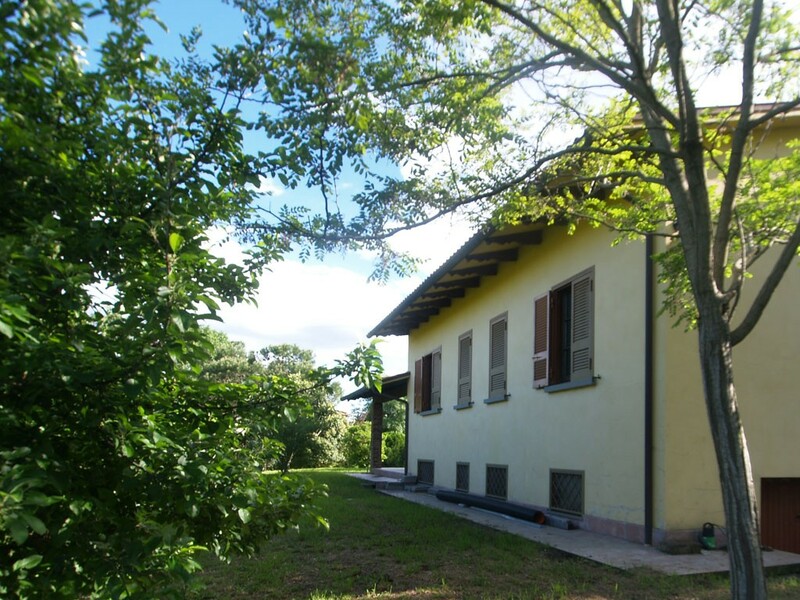 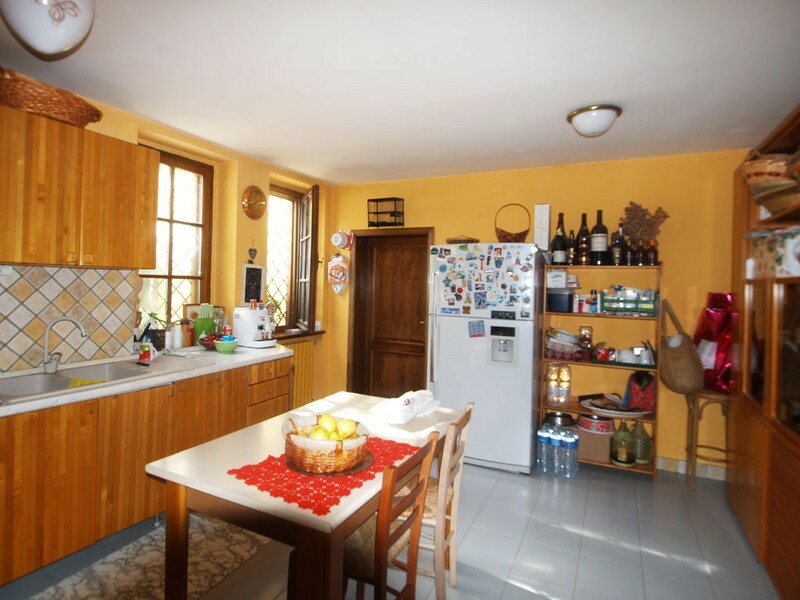 The property is located only 2 km from the centre of Castiglion Fiorentino, in quiet position and fantastic views of the historic centre. 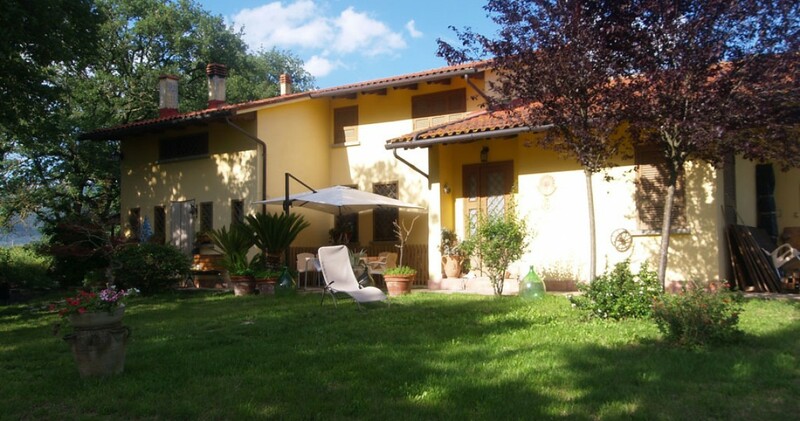 This recently constructed house characterized by pleasant architecture, measures approx. 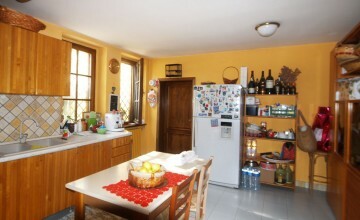 340 sq.m. 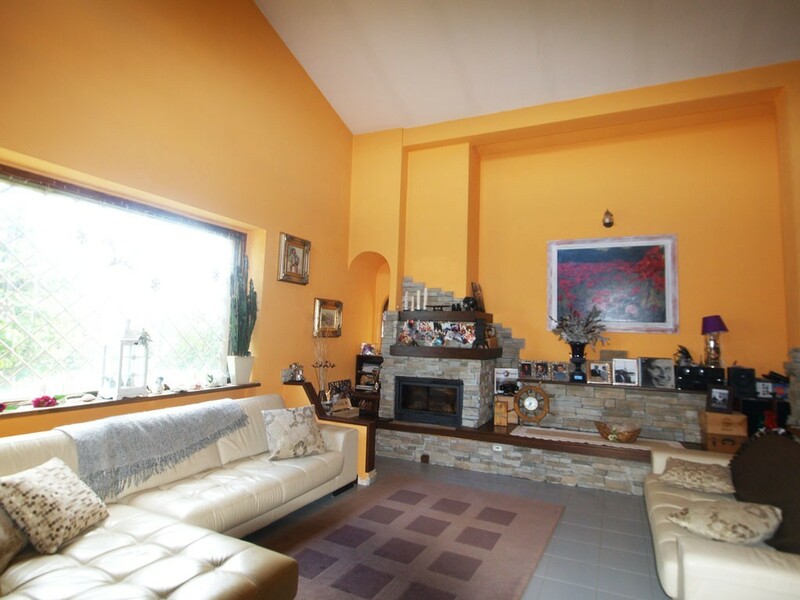 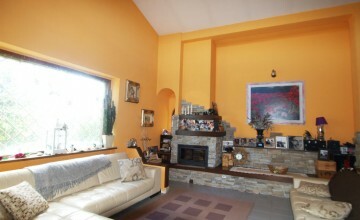 on two levels plus lower ground floor with cellarse and garage. 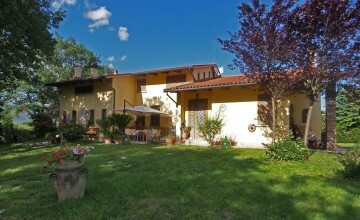 The ground floor is divided into an informal sitting-dining room with pizza oven and fireplace, at-in-kitchen, double sitting room with large windows, high ceilings and stone fireplace, three bedrooms, two bathrooms, study and two large porticos There are two bedrooms and one bathroom on the upper level. 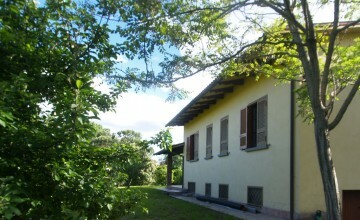 The lower ground floor is used as cellar, laundry, technical room and garage. 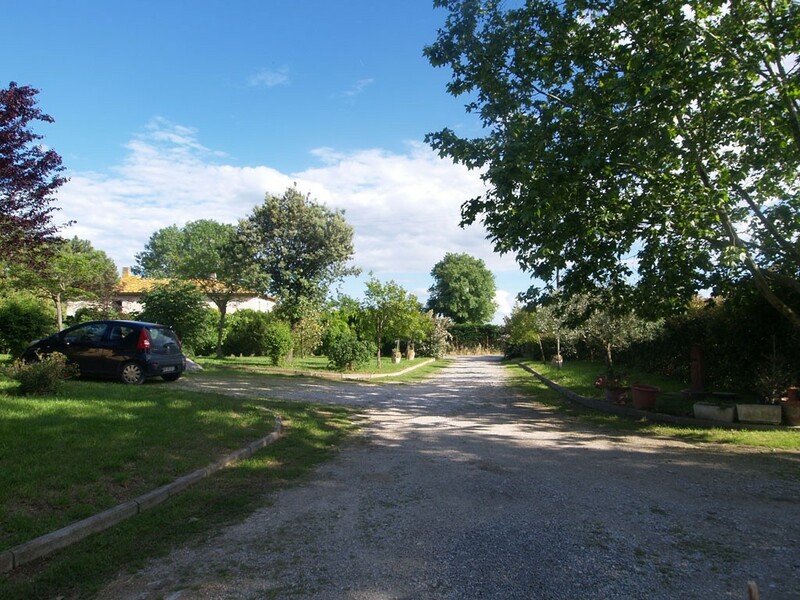 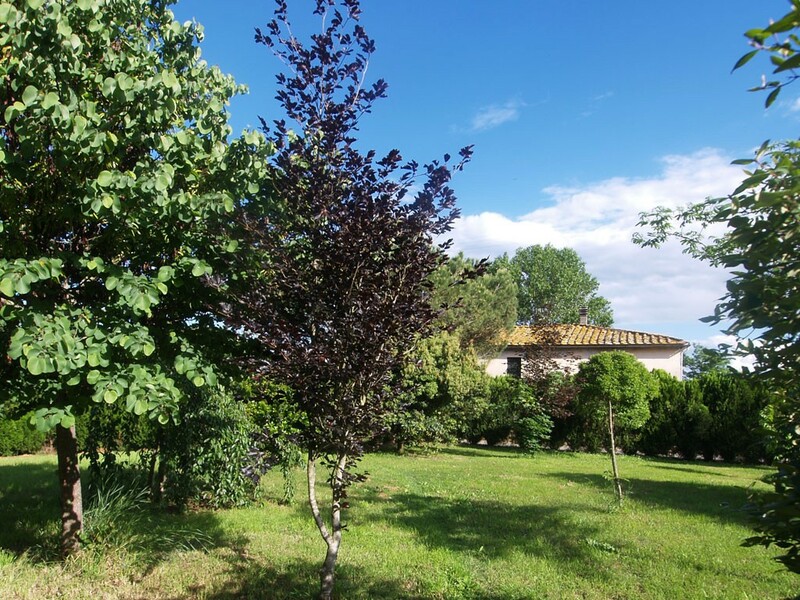 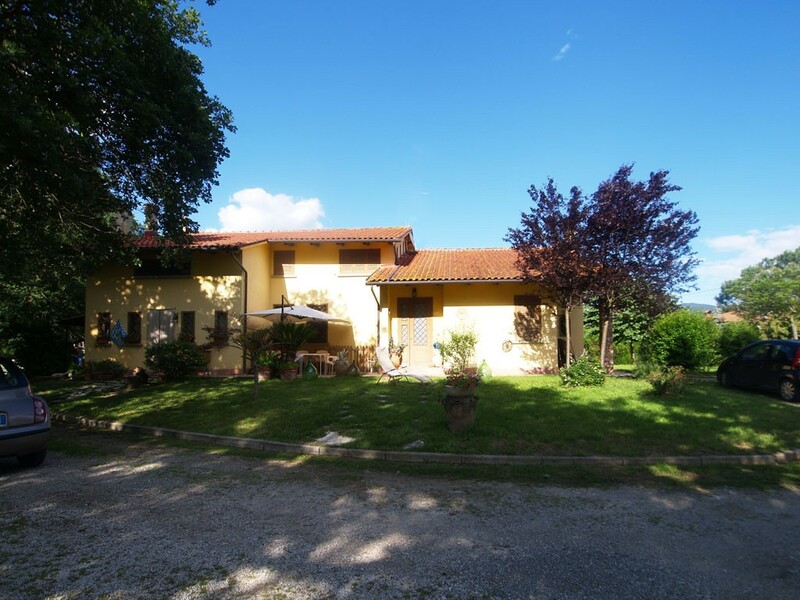 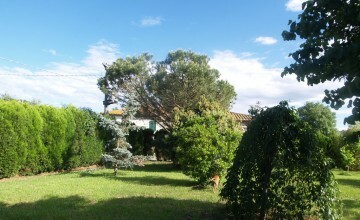 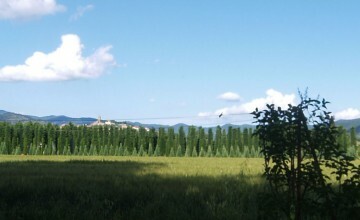 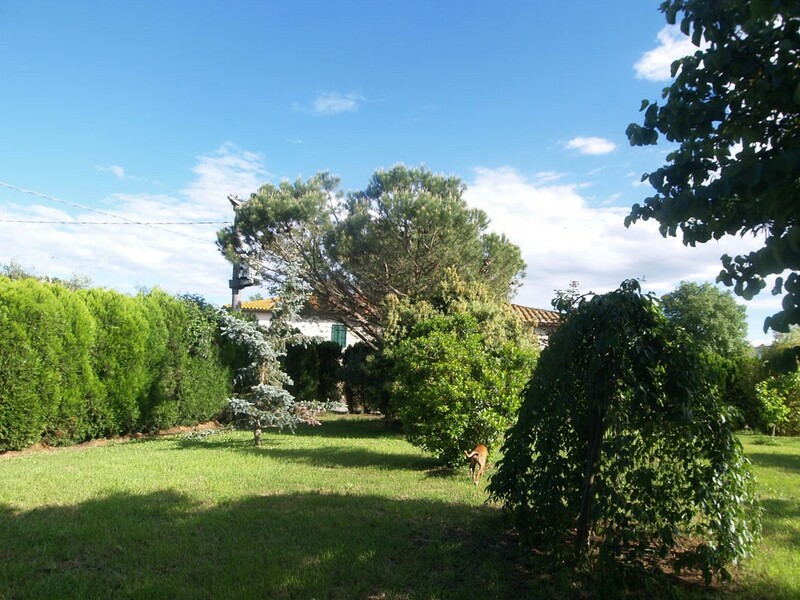 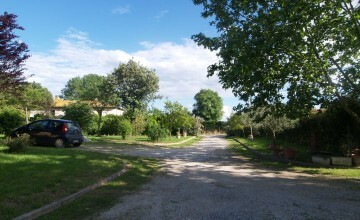 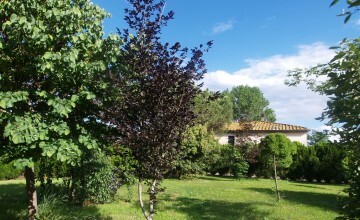 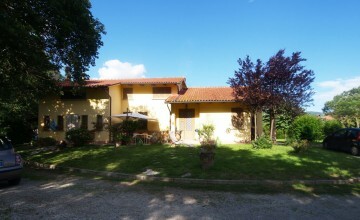 The land measures about 3000 sqm with large garden surrounding the house. 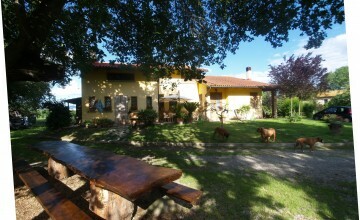 An outside dining area was created next to the house with a large table placed under the shadow of secular oak tress. 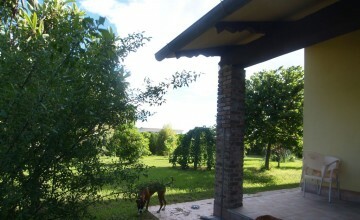 Conditions of the house are good. 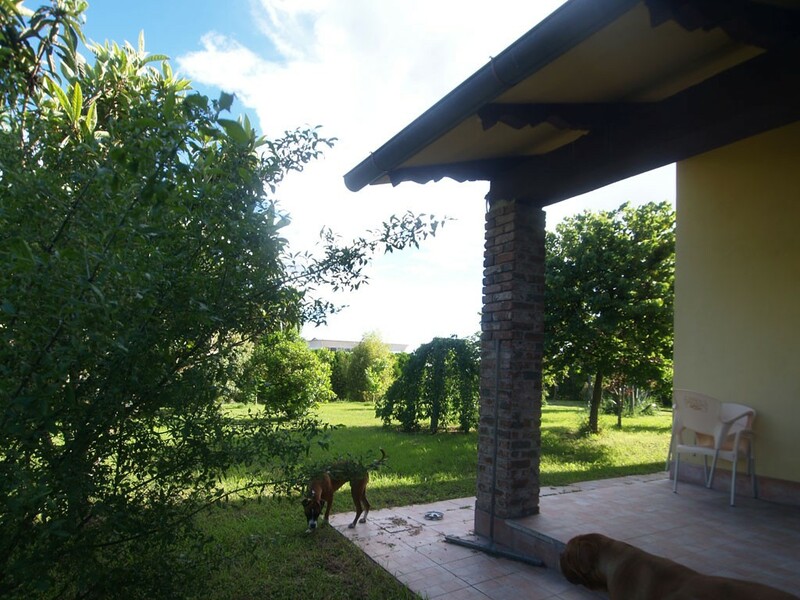 All utilities are in place including efficient heating system utilizing only wood.